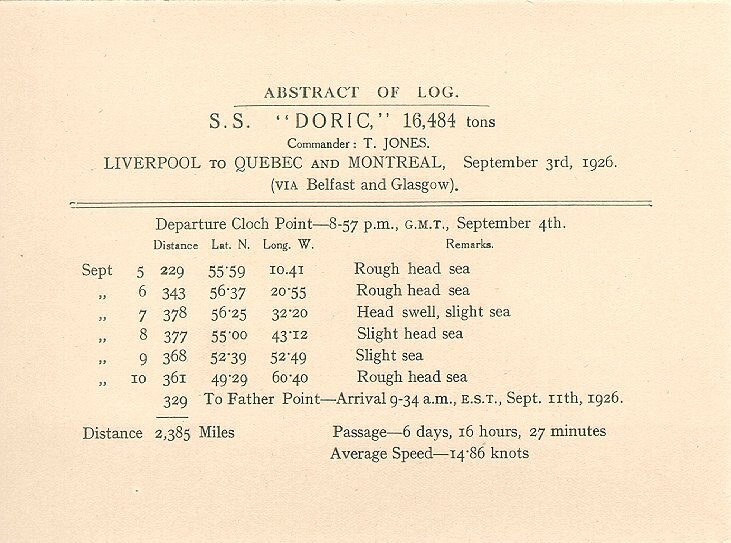 Beginning in 1933, Doric was used for cruising exclusively, her base being Liverpool. 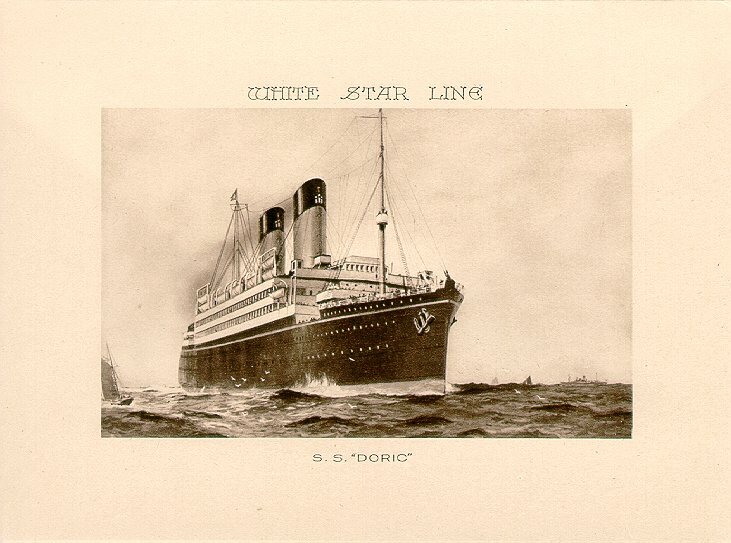 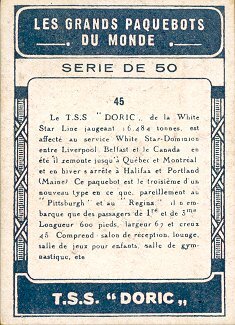 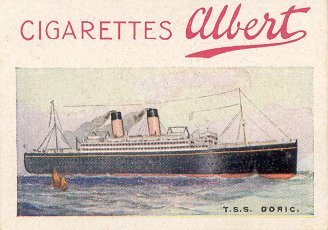 She was one of ten White Star liners transferred to Cunard-White Star in 1934, but her long-term future was uncertain until 5 September 1935. 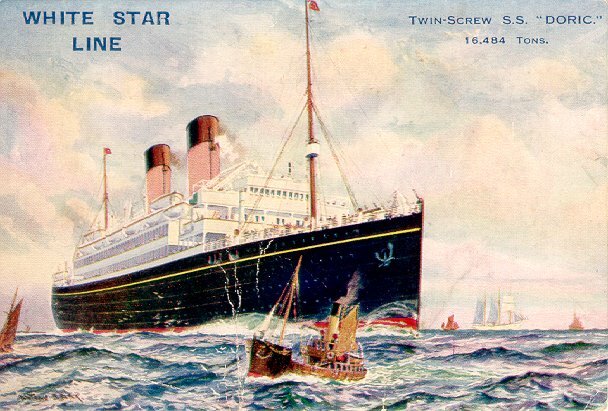 On that date, she collided with Formigny, of the French Chargeurs Reunis line, off Cape Finisterre. 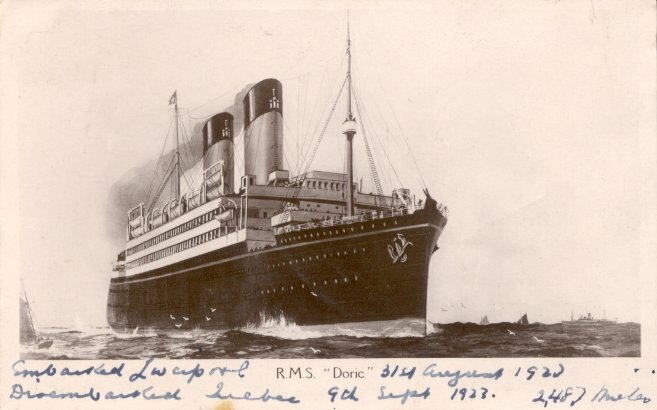 After temporary repairs were made at Vigo, Doric returned to England, where she was surveyed and determined to be a constructive total loss. 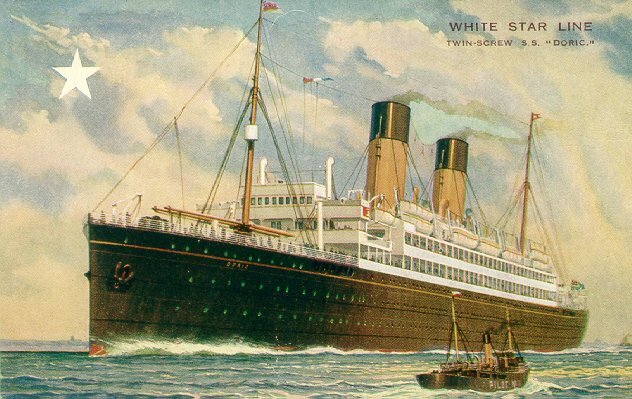 She arrived at Newport, Monmouthshire, in November 1935 to be scrapped. 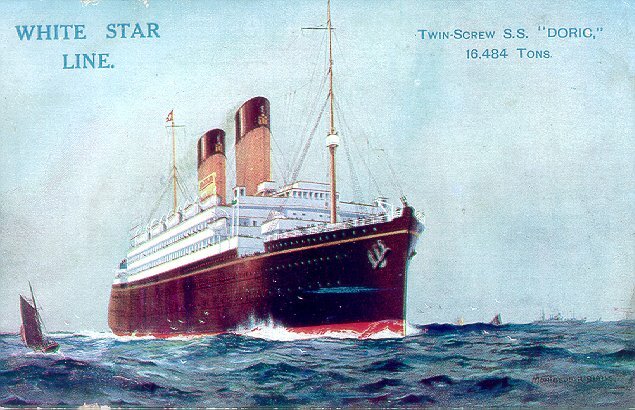 Sources: Haws' Merchant Fleets; Bonsor's North Atlantic Seaway.